If you’ve been keeping up with the Kardashians or other A-listers in Hollywood, chances are good you’ve heard a little bit about waist trimmers by now. Wearing a waist trimmer can help you develop an hourglass shape, but there are other reasons you may want to wear one that have nothing to do with looking like Kim, Kourtney, and Khloe. A waist trimmer is a type of garment that holds in your midsection and other areas around your waist, giving you an instantly slimmer look. Waist trimmers are generally made from elasticized fabric, so they have a bit of “give” to them while also providing firm support around the waist and abdominal region. What are Benefits of Wearing a Waist Trimmer? Other than looking more toned and sleek in an instant, waist trimmers can also help you lose targeted weight around your waist. The waist trimmer cinches around the waist to provide compression for the area in much the same way that Scarlett O’Hara’s corsets helped her achieve a tiny waist in “Gone With the Wind.” As an added benefit, waist trimmers also help to improve your posture, even if it’s only while you’re wearing the trimmer. Of course, the longer you wear it, the more apt you are to assume a healthy posture when you’re not wearing the waist trimmer or training belt. 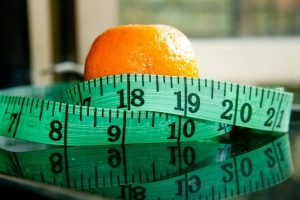 How Does a Waist Trimmer Help You Lose Weight? Some waist trimmers are better than others at helping you shed excess fat around your midsection. These trimmers work by making you sweat in these areas, so wearing one while you work out is a good way to intensify this effect. Because a waist trimmer belt does more than just train your waist, it is ideal for use by both men and women – and there are specific men’s waist trimmer products on the market. Why is Excess Fat Around the Midsection Dangerous? Carrying excess weight around your midsection can be dangerous because this fat is visceral fat – the worst possible kind for your health. Visceral fat is closely associated with inflammation in the body and puts you at a heightened risk for metabolic syndrome, diabetes, and heart disease. It is also strongly linked to so-called “hardening of the arteries,” or atherosclerosis. How Do You Use a Waist Trimmer? Put the waist trimmer on beneath your clothing, right against your skin. This allows you to experience the maximum amount of heat if you’re trying to work up a sweat and lose unwanted inches. Wear the belt at the tightest setting that feels comfortable to you. Remember, the tighter the belt, the more compression, and the better the results you’ll achieve. Wear the trimmer each time you exercise, or just wear it under your clothing as you go through your normal daily routine. Follow the manufacturer’s instructions for washing and caring for the belt to keep it in its best condition. How Do You Choose the Best Waist Trimmer? To choose the best waist trimmer, pay close attention to the fabric used to make the garment. You want a comfortable waist trimmer, but you also want one that will help you shed excess wait. Neoprene is an ideal material to look for, since it can increase your body’s core temperature even when you’re not exercising, helping you lose weight. You should also be mindful of the waist trimmer’s closure. Choose a waist-trimming garment that fastens with Velcro and metal hooks. This design helps the waist trimmer stay put during use, so you can reap maximum benefits from your garment. 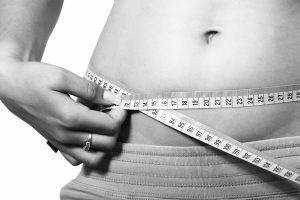 Read reviews from people who have purchased a particular waist trimmer to get a better idea of how it may work for your particular needs. Honest, peer-to-peer reviews are a great tool for helping you cut through the review clutter and make an informed buying decision. Learn more about waist trimmer belt.